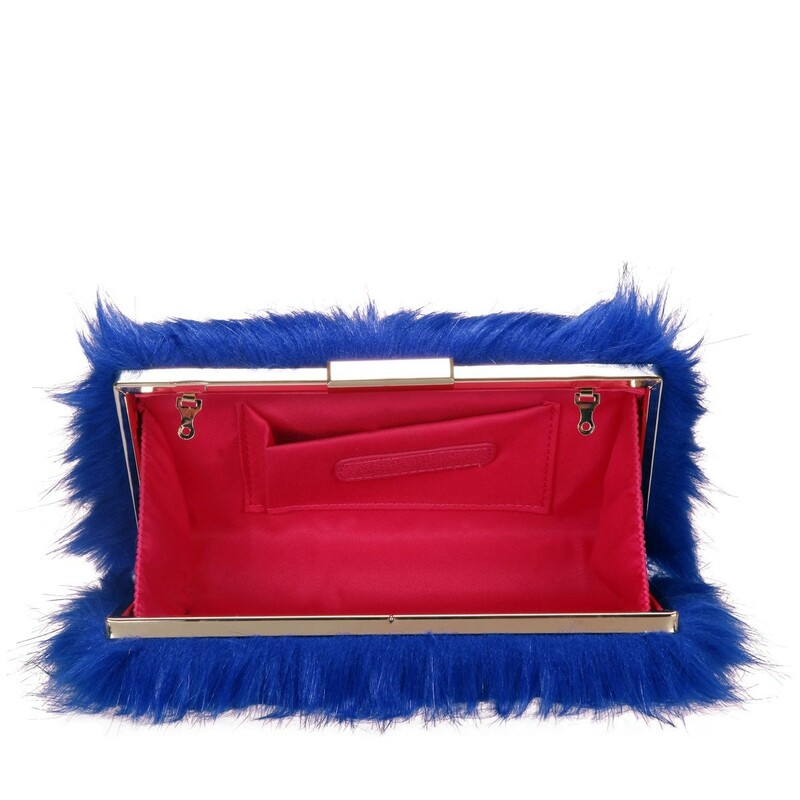 A girls wardrobe is never too full of fabulous bags! 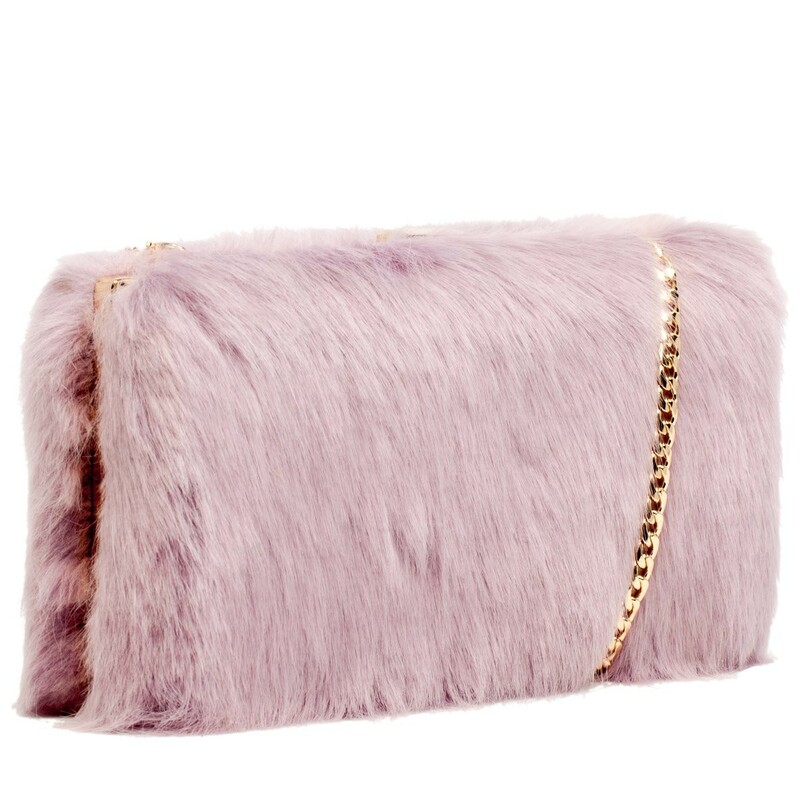 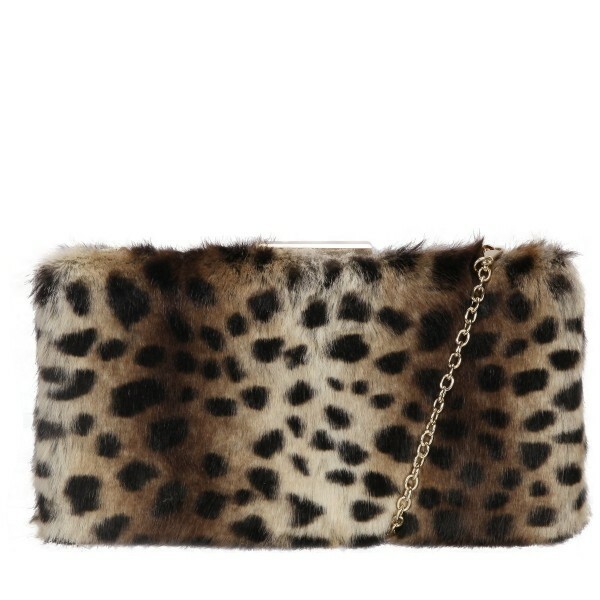 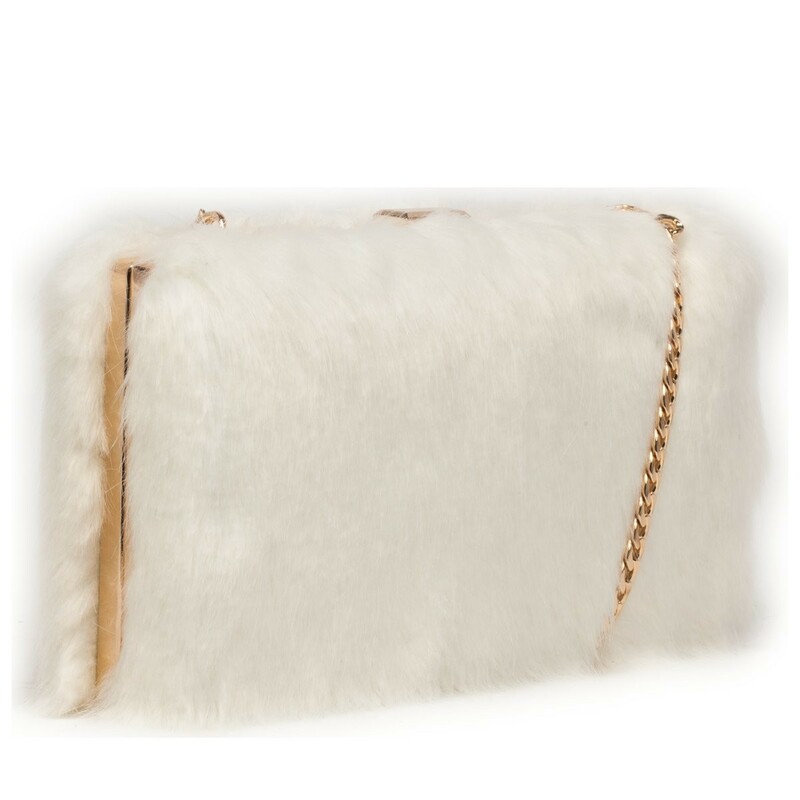 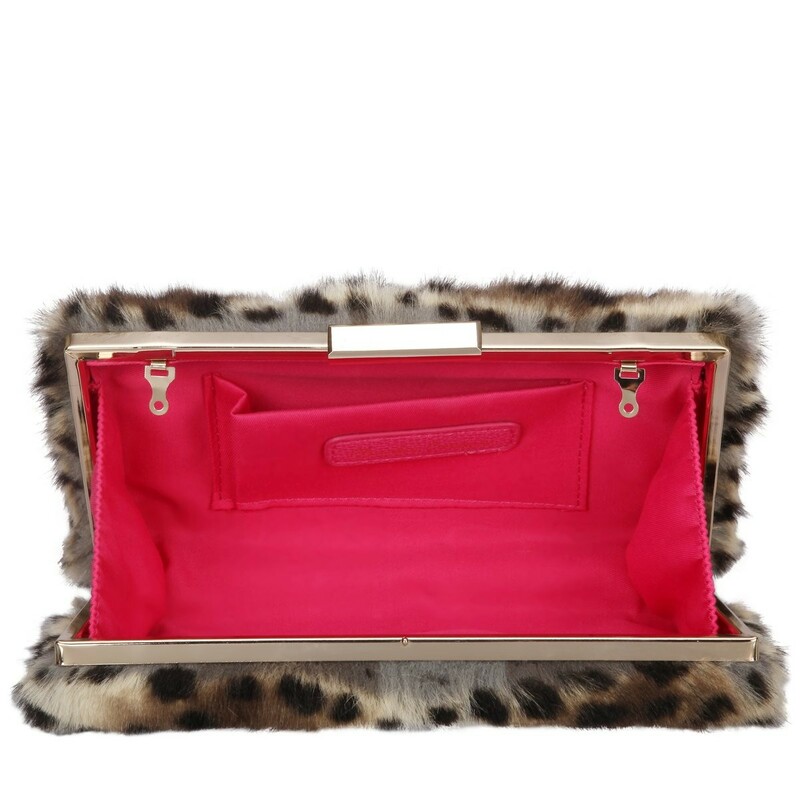 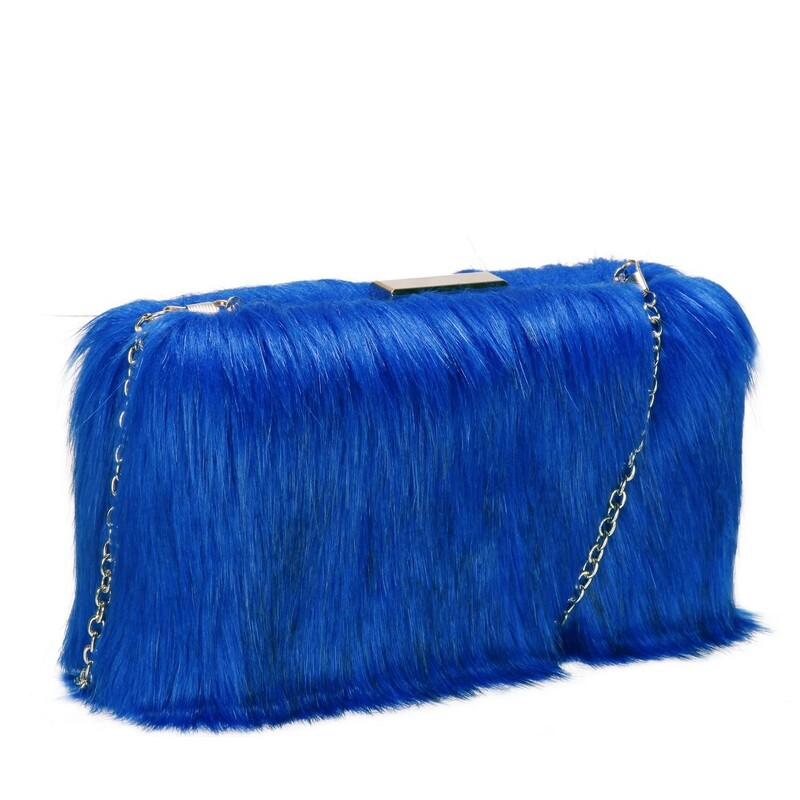 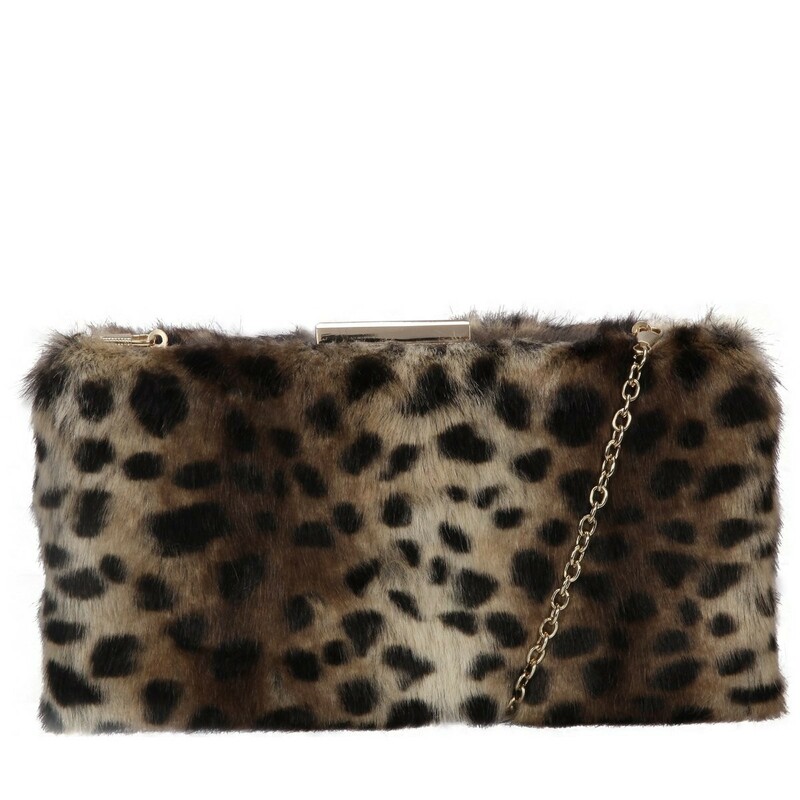 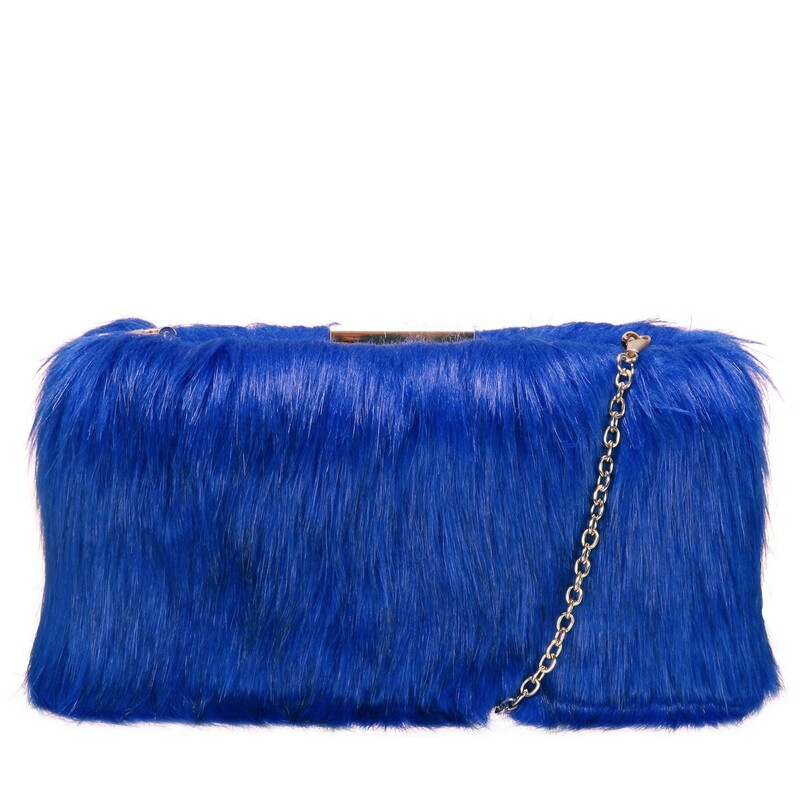 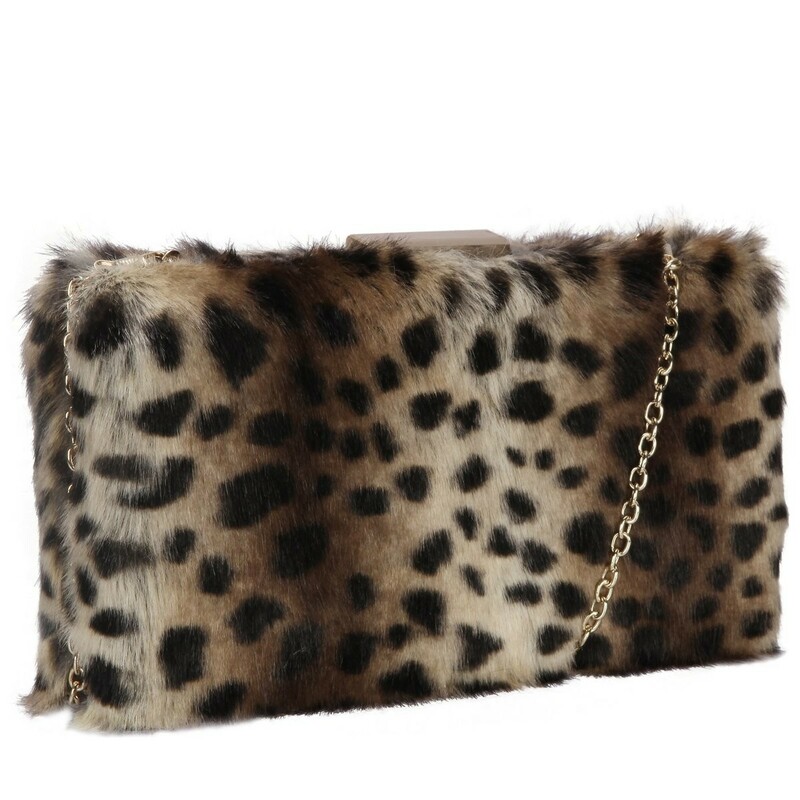 Set the trend this season with this funky and tactile faux fur Pandora clutch bag- the must have statement look. 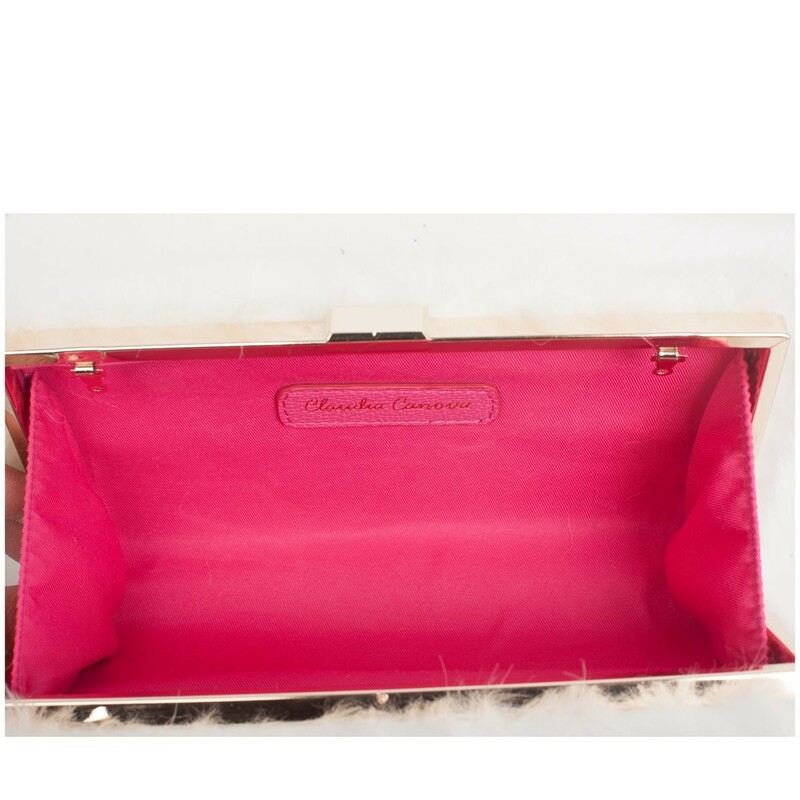 Inside is lined with fuchsia twill lining and the handy slip pocket- perfs for your party night essentials! 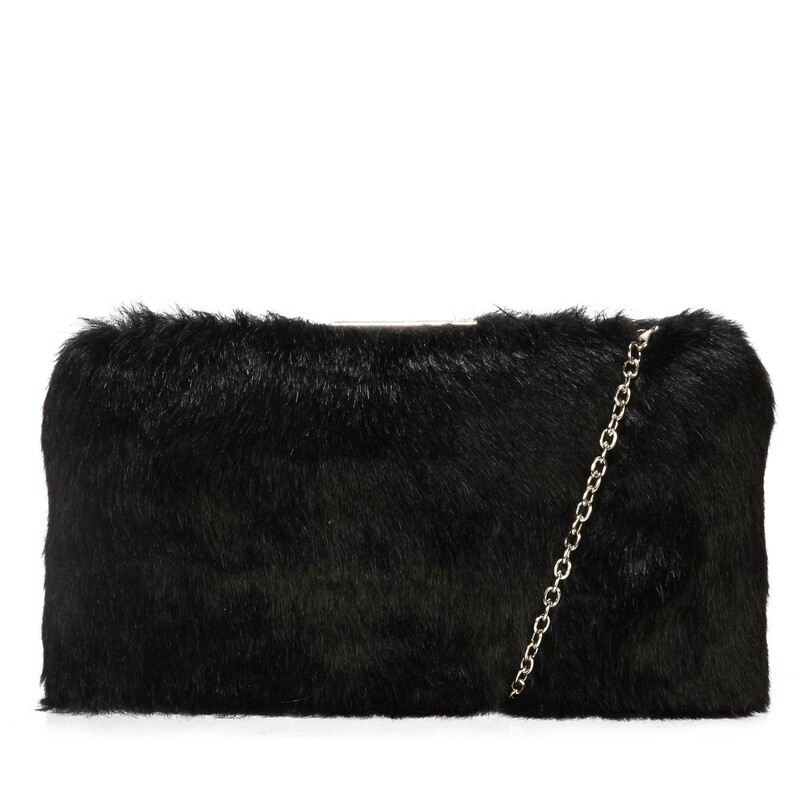 It comes with a fierce detachable gold chain shoulder strap so you can switch up the style to suit whatever outfit you are slayin.